The Wrangler offers iconic styling, exceptionally trail handling and unprecedented fun for your next adventure. Whether you’re traveling around town or through the Great Basin, you’ll love how this off-road wonder is designed to provide you power, capability and reliability. Give our dealership a chance to show you how this vehicle can improve your life and take your adventure to the next level. We want to help you get into a vehicle you love, but you have to come down and see us. Review our Denver Buyers Guide from our dealership serving Boulder Longmont Thornton Denver shoppers. Wheel options abound, and you can choose from a selection of customer favorites. Black wheels with a polished lip, polished granite crystal wheels, tech silver aluminum wheels and steel styled wheels are just a few of the options waiting for you. You’ll also be able to get 17-inch and 18-inch wheels to give you the kind of balance and stability you need to accelerate. All-terrain wheels and all-season wheels are also designed to provide you with a more reliable and enjoyable drive than ever before. Come down and explore the smart trail-ready features that make this vehicle one of the most coveted Jeeps on the market. We will get you a test drive so that you can find the configuration that works best fort your situation. Review our Denver Buyers Guide from our dealership serving Boulder Longmont Thornton Denver shoppers. 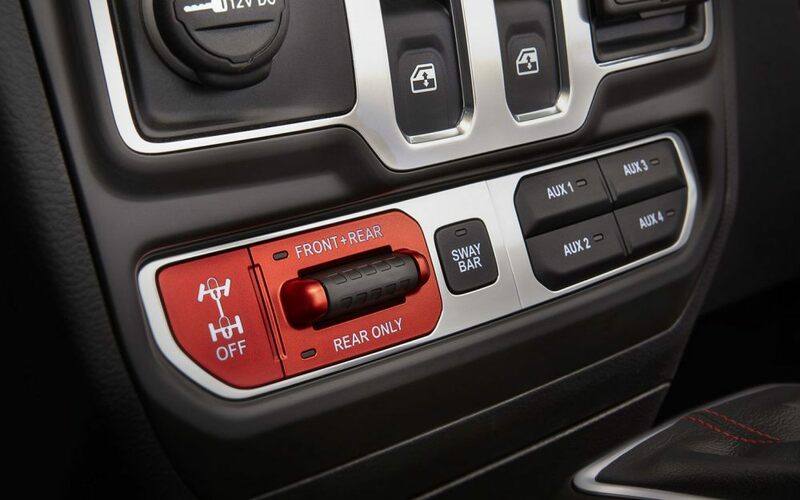 Outstanding technology and ultimate comfort lies in wait for you when you step inside a Wrangler. Take home a 2018 Jeep Wrangler from our Pollard Jeep dealership and find out about all of the options that lie in wait. This vehicle is designed to provide you with easy access to your entertainment and communications while providing you with hands-free voice-activated features to keep you safe on the road. Many of the models come with low back bucket seats, two-way driver lumbar adjustments and leather-trimmed bucket seats to give you an enjoyable driving experience. There is also the option of getting standard air filtering, all-weather floor mats and you’ll get cargo tie downs as standard equipment. Ambience-enhancing features like illuminated cup holders and interior dome lighting help to maintain your visibility and productivity when on the road. The 2018 Jeep Wrangler near Denver Is available at our Jeep dealership today so come down and see us soon. A booming sound system with Alpine audio components and exceptional acoustics give you everything you need to enjoy the outdoors. Take home a 2018 Jeep Wrangler from our Pollard Jeep dealership after meeting with us to find the trail-ready vehicle that meets your needs. With a maximum towing capacity of 2,000 pounds on all trim levels, you’ll have enough towing power to ensure that you’re able to get around that mountain pass with all of your gear in tow. Additionally, the trailer sway control feature makes it easier than ever to ensure you’re able to get to your destination safely and effectively. Red tow hooks come standard on the coveted Rubicon model, and you’ll love the option to get two-front and one-rear tow hooks to give you exceptional power and control. Our 2018 Jeep Wrangler near Denver Is available at our Jeep dealership today. For all-out protection, you can’t beat the rock rails, fuel tank skid plate shield and the transfer case skid plate shield. Give us a call and we will help you select the vehicle that makes the most sense for you. When the wind picks up and the thunder rolls in, you’ll be glad you selected a vehicle that is capable of getting you out of the most intense situations. This off-road monster gives you several options to choose from, including a 2-liter I4 DOHC DI Turbo eTorque engine to give you a balance of efficiency and power. If you need something with more rumble, consider the 3.6-liter V6 24V VVT Engine with ESS. This higher-powered engine will give you the power you need to tackle most anything life throws your way. Review our Denver Buyers Guide from our dealership serving Boulder Longmont Thornton Denver shoppers. Safety is a primary concern of any serious adventurer. The vehicle that gets you to and from your destination can make the difference in whether you succeed or fail in your next quest. Take advantage of the smart advanced brake assist features, the advanced multistage front air bags and electronic roll mitigation to ensure you get the best possible driving experience while staying safe on the road. The vehicle also offers electronic stability control, hill start assist and a hydraulic assist brake booster for exceptional traction and braking power. 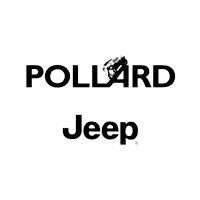 Take home a 2018 Jeep Wrangler from our Pollard Jeep dealership. 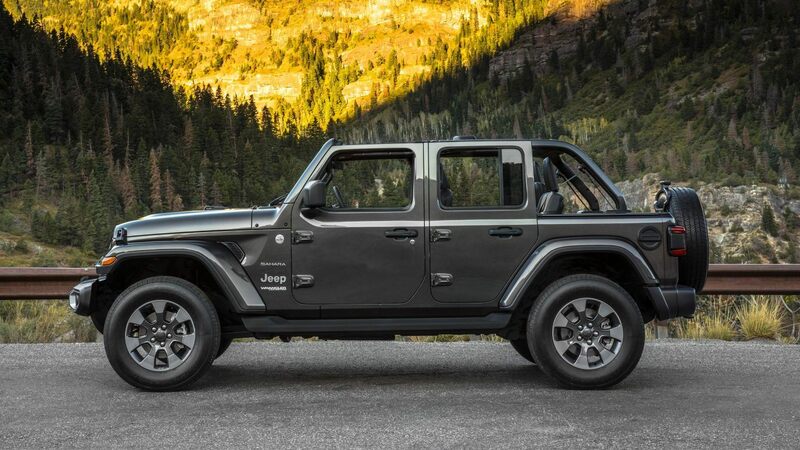 Our 2018 Jeep Wrangler near Denver is available at our Jeep dealership today when you give us a call to get a quote. Find out about specials, incentives and financing packages that can help you get this vehicle for much less than you expect. We will work with you to help you get a monthly payment you’ll love and a vehicle you’ll treasure. Give our dealership a call, stop in or visit us online for more information today.